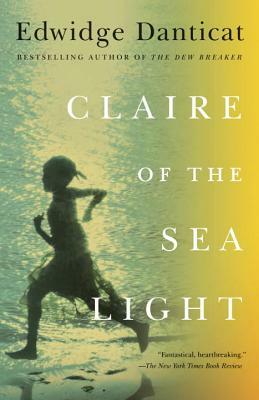 Just as her father makes the wrenching decision to send her away for a chance at a better life, Claire Limyè Lanmè—Claire of the Sea Light—suddenly disappears. As the people of the Haitian seaside community of Ville Rose search for her, painful secrets, haunting memories, and startling truths are unearthed. In this stunning novel about intertwined lives, Edwidge Danticat crafts a tightly woven, breathtaking tapestry that explores the mysterious bonds we share—with the natural world and with one another. Edwidge Danticat is the author of numerous books, including Brother, I’m Dying, a National Book Critics Circle Award winner and National Book Award finalist; Breath, Eyes, Memory, an Oprah Book Club selection; Krik? Krak!, a National Book Award finalist; The Farming of Bones, an American Book Award winner; and The Dew Breaker, a PEN/Faulkner Award finalist and winner of the inaugural Story Prize. The recipient of a MacArthur Fellowship, she has been published in The New Yorker, The New York Times, and elsewhere. She lives in Miami.